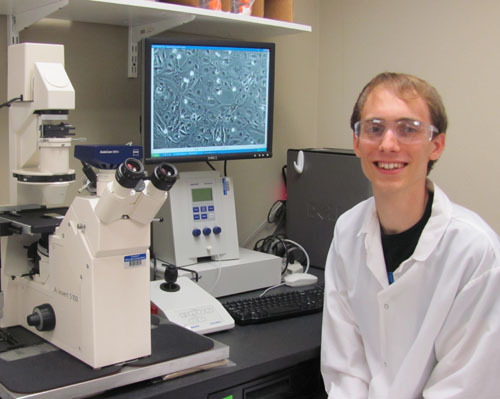 Austin Storck has been working as an intern at Mirius Bio LLC. We asked Austin some questions about his work and his training. My job as an intern consists of helping out with any experiments that need to be done by the full time employees working at Mirus Bio LLC. Along with this, I am frequently assigned to carry out my own experiments which involve growing mammalian tissue cultures, transfecting these tissue cultures with plasmid DNA, and harvesting these cultures for any proteins created from the plasmid. In addition to these main tasks, I also do general "intern duties" such as sterilizing hazardous waste, cleaning and sterilizing labware, ordering and stocking supplies, etc. In an average day, I usually begin my work by examining my tissue cultures under a microscope to se how they are growing. If any experiments need to be done with the cells, I passage them into plates so I can use them later for transfections. If the cells do not need to be used that day for any experiments, I split them and allow them to grow until I need to use them for experiments. During the day, I usually help other scientists with experiments. 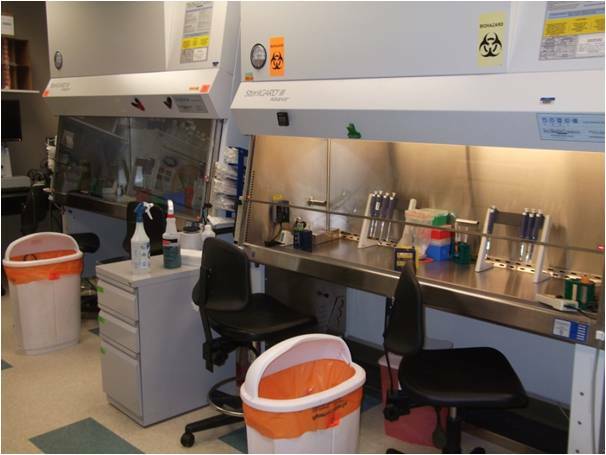 I culture cells for them, harvest their transfected cells for proteins, and sometimes transfecting cells for them. 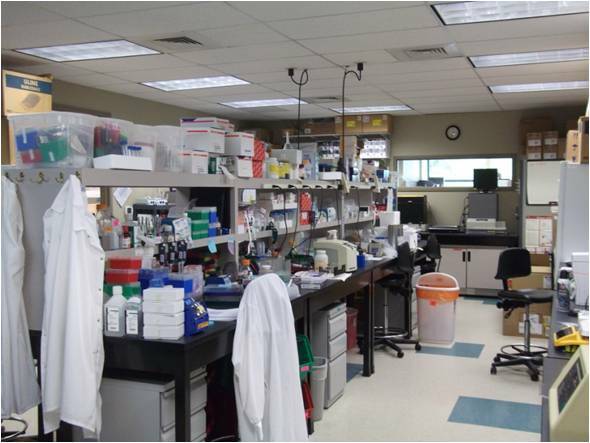 Throughout my day I usually take care of general duties such as autoclaving biohazardous waste, ordering and stocking supplies, and cleaning the lab and any labware that is dirty. It is very important to have good documentation skills and a good work ethic. There is usually lots to do in a short amount of time, so having a good work ethic and the ability to work efficiently is extremely important. Even though it may be difficult at times, my internship here at Mirus has allowed me to learn much more than I could have without the experience. Everything I have done here (although not necessarily directly related) has given me extra experience that has helped me in my biotechnology classes.